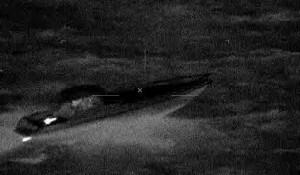 WILLEMSTAD - During a patrol 100 miles north of Curacao, the Coast Guard Caribbean aircraft, the Dash 8, discovered a so-called go fast. 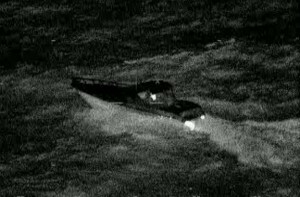 This drug smuggler was cruising at high speed, heading north. After the six-man crew had realized that they had been seen, they began to throw the bales of drugs overboard. Because the Coast Guard has no units so far in the Caribbean Sea, they requested assistance from the US Coast Guard. They in turn indicated that the cutter Dauntless could be dispatched quickly. When the US Coast Guard had reached the go fast, the crew had just finished dumping the contraband. 150 kilos of cocaine with a street value of $ 8.2 million were recovered from the water.